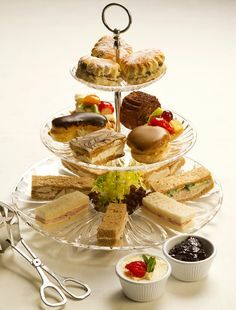 I finally decided August’s Tea Party Event at The Wellspring will be an intimate backyard afternoon tea for eight. Two friends are celebrating birthdays in August. As full-time mothers, they both relish time for uninterrupted conversations among friends. 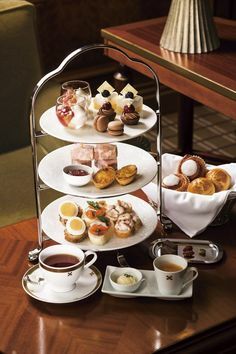 One in particular loves afternoon tea in all its beauty. I look forward to hosting it and plan to chronicle this process at Tea Party Girl. Hopefully it can help you plan your tea party event step-by-step as well. The first decision I needed to make was the budget. I limited my budget to $80. As someone who doesn’t relish spending time crafting or cooking, this could prove limiting. I can’t just buy everything I want for the event. It includes the food, favors, and any additional items I need to rent or buy. It helps that I collect tea-related items already and can use the china, cups, and linens I have on hand. I also can borrow from friends or even Mom, who lives an hour away, in a pinch. Secondly, I decided the guest list. This can be a little tricky. I want to limit the event to eight. This allows me to spend $1o/guest and keep us all at one table, as intimate is never more than eight. It’s a realistic number for the budget. Women never want to leave anyone out and both birthday girls gave their input on who they wanted to include. As the hostess, I had to express to them that I had to limit the amount I was spending, which is why I was limiting the guest list. They both completely understood this. If I had friends who I didn’t feel I could discuss this with, as the hostess, I wouldn’t have asked for their input on the guest list as much as I did. My third step was sending out the invitations. In this day and age, there are a number of ways to do this. Yes, the hard copy in the mail is still a wonderful choice. However, making phone calls or using a service like E-vite makes RSVPs easier to gather. When my time and budget is limited with an Internet savvy group, I like E-vite. This group is not, unfortunately. Instead, I made phone calls initially to take care of any immediate “no”s to better help me plan and make sure the date worked for the guests of honor. Then I sent out snail-mail invites so everyone can see the details first-hand. This could be redundant, but I always want to make sure everyone sees and hears the details of time, location, etc. Between postage and the proliferation of paper crafts these days, it would be easy for me to spend too much money on this. Call me old-fashioned, but my favorite budget snail-mail invites are still the packages of eight invites from Hallmark. They sell them in the paper goods area of the grocery stores and I almost always find one in the choices I like. If money was less of an issue and I had more time, I would spend time exploring a new website I’ve found, Etsy. It’s the way to purchase homemade items, including paper arts, straight from the craftswoman, which I LOVE. Each day this week I will tackle the rest of planning steps I need to take. Stay tuned! 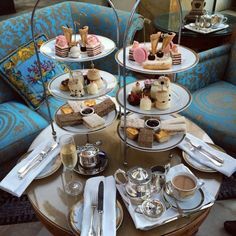 I had been considering having a tea for two friends with late August birthdays. This is just the impetus I need to actually follow through. You’ve helped me already with your idea to first call the guests to make sure they have the date open and then to send paper invitations. Thank you! I personally don’t like the Internet invitation sites. I’m very careful where I give my email address and I’d be a bit upset if a friend used my private email to send an evite. I’m a sentimentalist too and always keep pretty invitations that I’ve received. Great feedback, Lara, that’s good to know. I’ve found E-vite very helpful with large groups because people tend to RSVP in a more timely manner when they only have to push a button vs. pick up the phone~at least with my age group. What can we do to help people RSVP?! 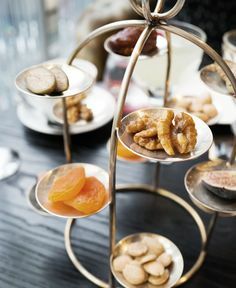 I’m so glad to hear you’re going to plan a tea event for August! 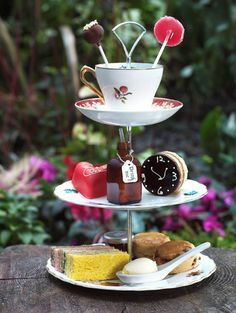 Thanks for the idea of a tea party. I also have a friend who has a birthday coming up in August. Maybe her daughter and I can take her out for an afternoon tea party. We actually have a restaurant nearby that is a Tea House. I love that you set a budget for this and that you are writing about the process! Inexpensive demitasse cups are on this site http://www.teapartytreasures.com There is also Pink Lemonade Tea that comes out to 45 cents each – they’re wrapped in gold foil so you can pop one into a teacup for favors or use them at the party….was cups and give a few extra teabags to take home. Scones are inexpensive to make and serve – homemade jam is also easy to make and could also be a favor. Since it’s in August, heavy foods would be uncomfortable, anyway. In a pinch, you could also ask each guest to bring a small dish to share?